13x18-inch print of Gene Autry's Champion comic book cover, Dell No. 19 (Aug.-Oct. 1955), signed by artist Sam Savitt (1917-2000). Original signature in fine-point marker at lower right. Print ©1985 by Black Horse Press of North Salem, N.Y.
As described by ComicBookPlus.com, the painted cover image shows Champion bucking in a rodeo ring in the foreground with a lasso about his neck as the rodeo rider, astride his own horse in the background, pulls the rope tight. The crowd looks on; two in the crowd throw their arms up in cheer. This was the cover to a quarterly, 10-cent, 36-page comic copyrighted by Gene Autry, designed and produced by Western Printing & Lithographing Co. This issue included two 17-page stories: "Champion in Dangerous Waters" and "Champion in Fire Trap." The two stories were illustrated by Morris Gollub. 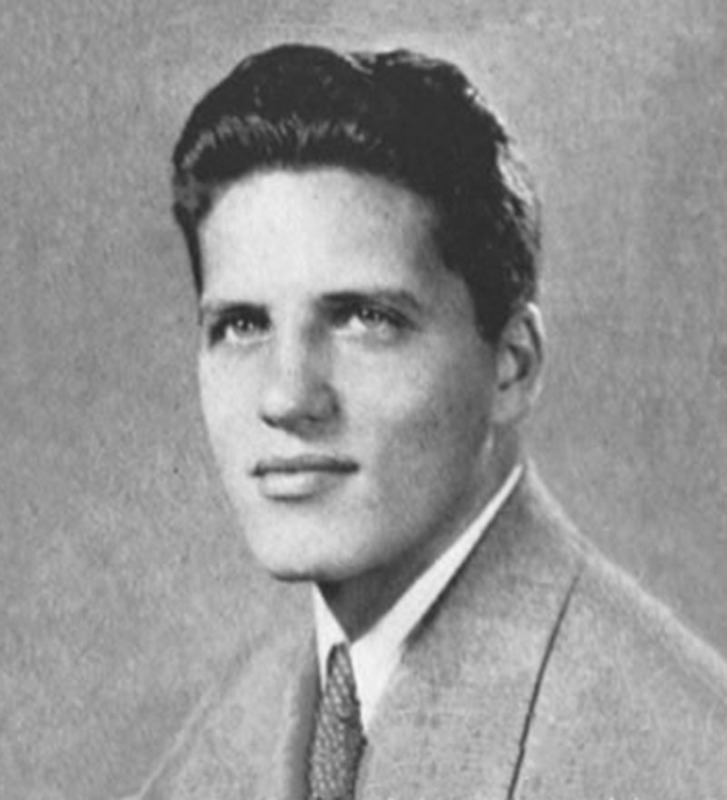 Sam Savitt was born Sam Savitz on March 22, 1917, in Wilkes-Barre, Penn., a coal mining town. His father, Hyman Savitz, was born in 1884 in Russia and came to America in 1892. His mother, Rose Eskowitz, was born in 1889 in Austria and came America to 1904. Both of his parents were Jewish. They lived at 52 Hancock Street. They had four children, Sally Savitz (born 1915), Sam Savitz (born 1918), Alfred Savitz (born 1922), and Evelyn Savitz (born 1927). His father worked as a timekeeper at an iron foundry. During World War II, Savitt served in the U.S. Army Corps of Engineers, 352nd Battalion, and became a first lieutenant. He worked on the Ledo-Burma Road project, to resupply the Chinese Nationalist Army of Chiang Kai-Shek in fighting the Japanese occupation of China with Allied war materiel from the Indian seaport of Calcutta. 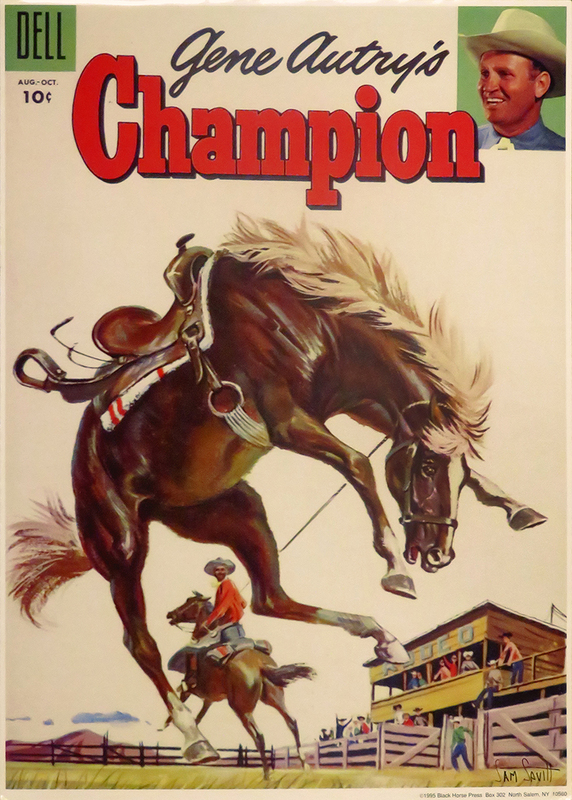 Further reading: For information about Gene Autry's horse(s) named Champion, read My Years With Gene Autry and Melody Ranch by Henry Crowell. LW2854: 9600 dpi jpeg from autographed print purchased by Leon Worden.